If you visit this blog often, you've probably started to wonder why we haven't posted any DIY tutorials in what feels like forever! Well, I'm so excited to finally announce what we've been up to and why there hasn't been much going on here on the blog. About 6 months ago we were approached by a publisher to write a DIY Succulents book! 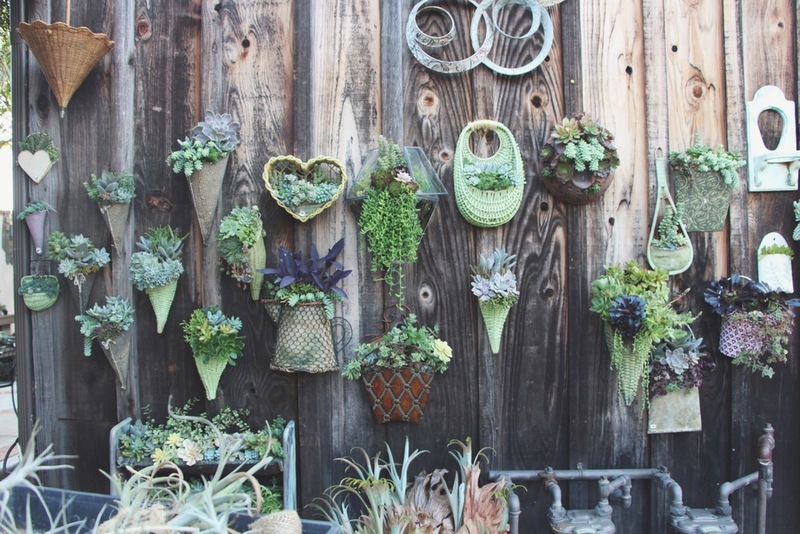 Succulents + photography + crafty projects + writing all about it... of course we said YES! We came up with 35+ (I think there are actually 38!) succulent related DIY projects that are super cute and pretty easy to create. The book is divided into two parts. 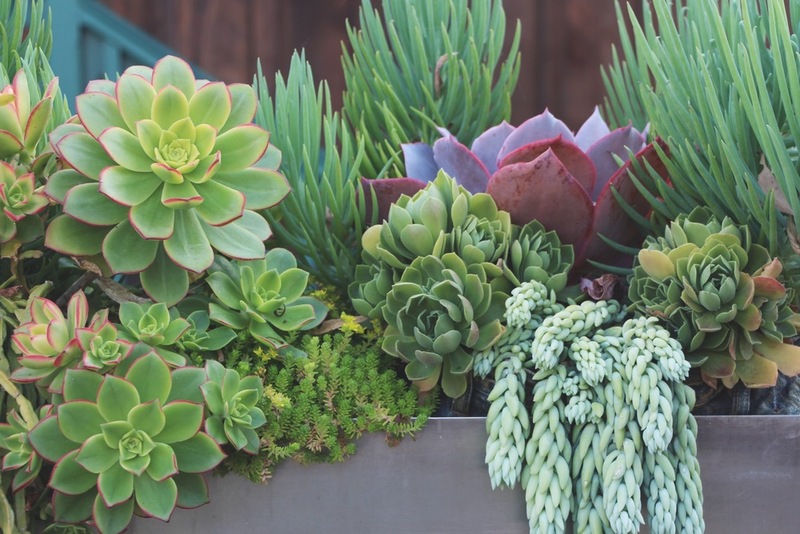 Part One includes a Succulents 101 chapter which covers what exactly makes a succulent plant "a succulent," common varieties of succulents, how and where to buy succulents, succulents alongside children and pets, the best pots for succulents, how to care for your succulents, and how to overcome problems with your succulents. In Chapter 2, I go into detail on how to propagate your succulents from cuttings and leaves including photos of what the cut ends of your plants should look like after they have calloused over. Part Two of the book is packed with fun projects for your home and garden! Each project includes a supplies list, step by step instructions with photos, care instructions and tips for customizing your gorgeous creations! DIY Succulents was such a fun project to work on, we can't wait for you all to get your hands on a copy! DIY Succulents is now available on Amazon! 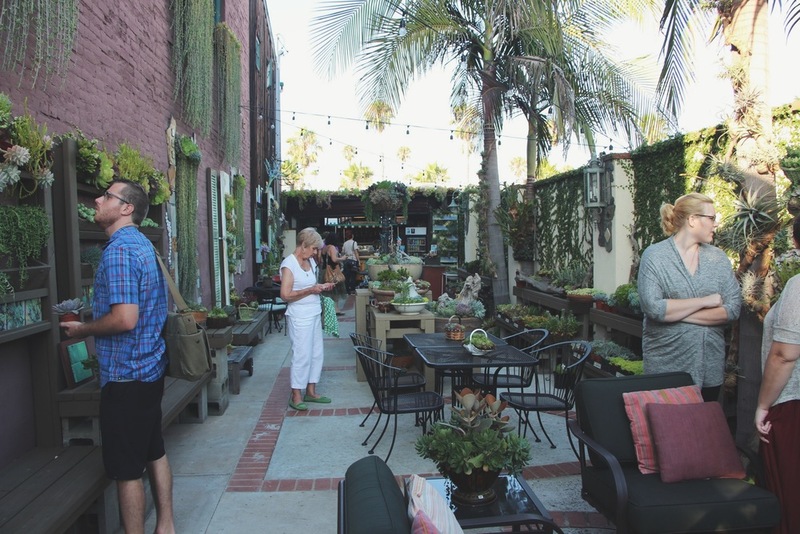 Coffee and succulents are two of my favorite things, so when Krista told me about the new Succulent Cafe in Oceanside, I almost exploded with excitement! The cafe is located at 322 North Cleveland Street in a courtyard adjacent to Apotheque Lifestyle Spa. 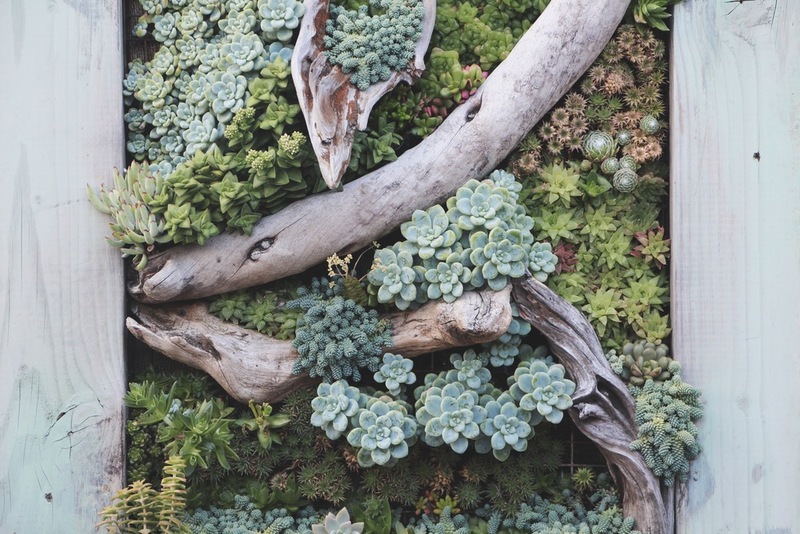 You know you've arrived when you see this magical wall of succulents. As you enter the outdoor garden style cafe, you immediately realize this isn't just a coffee shop that also sells plants. The entire cafe is a living work of art as you are surrounded by a wall to wall succulent masterpiece. I recently had the privilege of sitting down with owner and creative mastermind Peter Loyola. 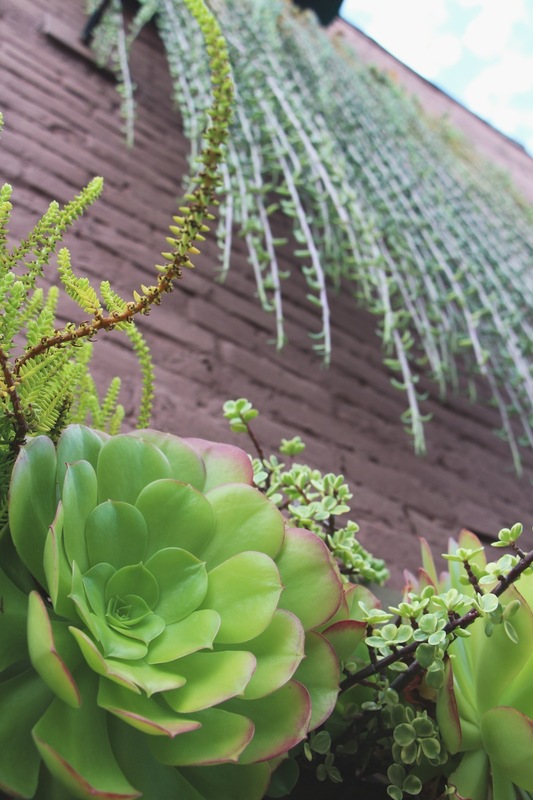 Peter's passion for succulents began in his own backyard. Unsure if he wanted a cactus or succulent garden, he decided to go with succulents because he thought they would be safer for his kids. As his garden grew, he began making little arrangements to sell at his sister's bakery on Valentine's Day and Mother's day. He would make 50 to 60 arrangements which would sell out every time. 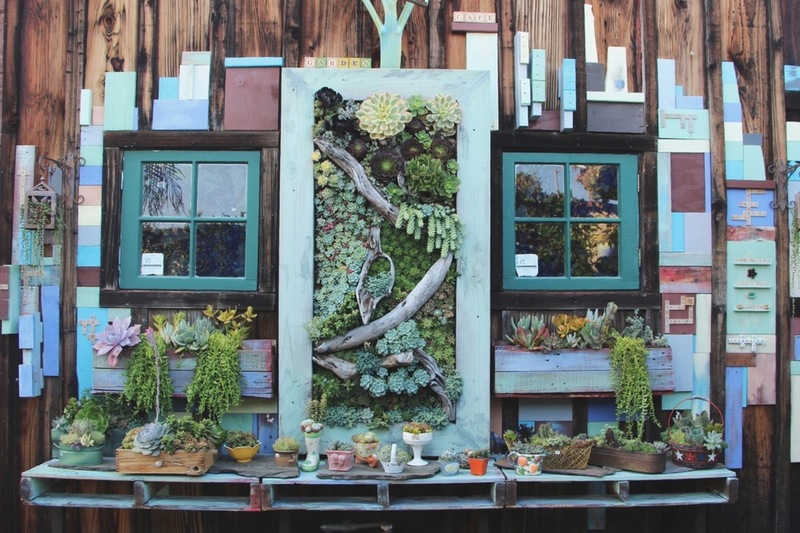 After being asked to share some succulent pieces at the Oceanside Days of Art, Peter quickly realized that succulents actually have a fan base and that his arrangements were in fact viewed as works of art. People would constantly ask him if he had a website, business card or store and the answer was always "no". 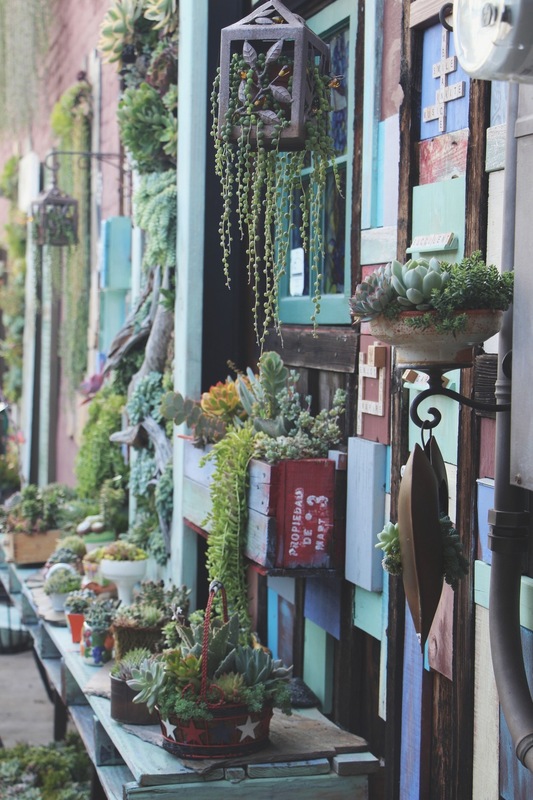 Naturally, he decided to open a succulent garden where he could sell his arrangements year round. One day while walking downtown, Peter spied the unused courtyard outside the Apotheque Spa. He approached the owner, inquired about the space, showed them his work and they agreed. From the positioning of the sun and pleasant ocean breeze, to the historic building as a backdrop, the space was absolutely perfect for his succulent garden. Although the initial thought was to make it a garden, Peter decided to combine his love of serving coffee with his passion for succulents and I'm so glad he did. The Succulent Cafe is total perfection. From the quiet music to the gorgeous succulents, the entire ambiance makes you want to come back again and again. Peter hopes that his cafe can be part of changing the face of downtown Oceanside. He says, "I've created this space primarily to offer a peaceful relaxing place not only for locals, but for tourists and visitors. I chose Oceanside because I live here and I'd love to be a small part of making it a better place." Peter is all about supporting local businesses and artists. 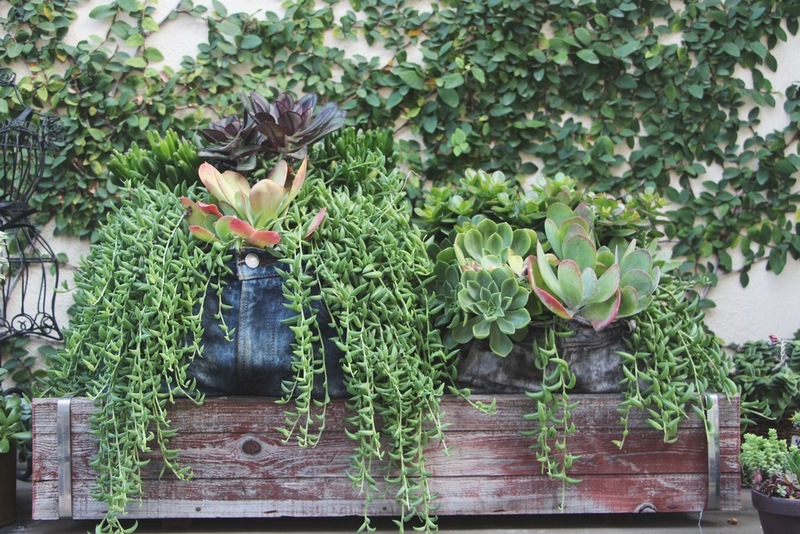 He buys all of his plants from local nurseries and his coffee beans come from Revolution Roaster in Leucadia. On the weekends, he welcomes local musicians to perform and local artists to display their work. Peter is so humble and friendly, I wish nothing but the best for him and his amazing cafe. I had the pleasure of photographing the cafe, but honestly, these photos do not do it justice! If you are in the area, please stop by for a visit. You will be so happy you did! 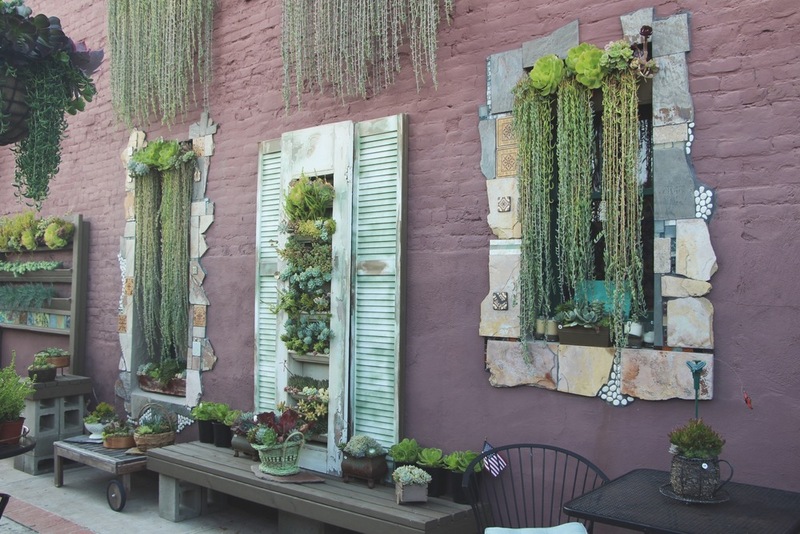 This vertical frame succulent wall was voted best plant art by San Diego Magazine, August 2013 issue. 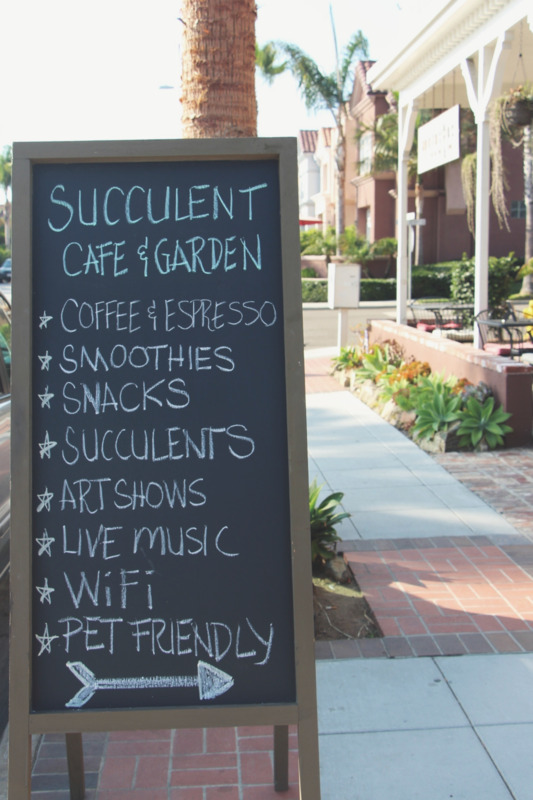 Like the Succulent Cafe on Facebook and follow them on Instagram @succulentcafeoceanside for more info.